Palindrome at Home: Happy Halloween! 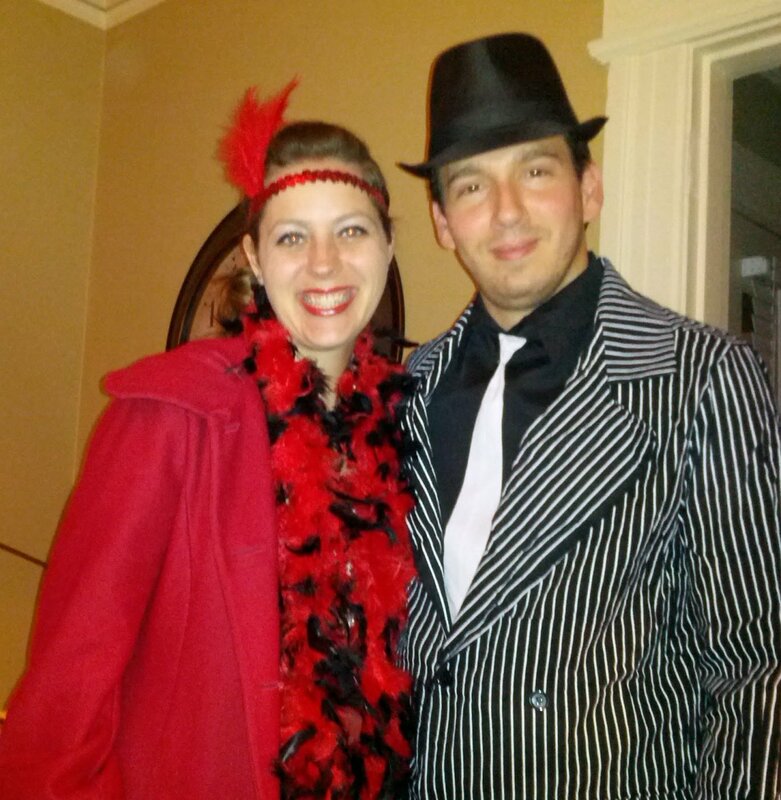 Right before we left for a party on Saturday, we thought to have Mr. P's mom snap a photo of us in our gangster/flapper costume. We've been together for 9 Halloweens, but this is our first couple's costume. We had so much fun, we're already brainstorming for next year! They're the imPRESS brand that are peel and stick (no glue!) and they looked awesome. By day 3 I had replaced two nails and today, a week later, only 4 are still hanging on - but I thought they were a special Halloween treat since I work from home now. 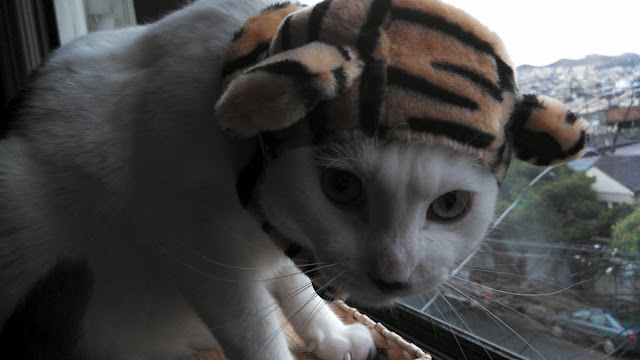 He totally fills out tiger hat this year, but it just as grumpy (if not more!) about wearing it.